Interesting: IPv6 traffic is the majority of my Internet traffic at home: 54%. And IPv4 is the minority. 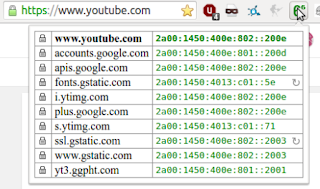 So divide those numbers IPv6 by total traffic: 366/676 = 54% IPv6 traffic. 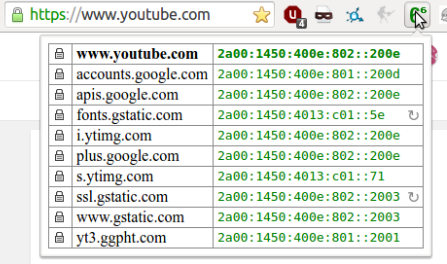 The explanation is quite easy: the well-known high-traffic sites (youtube, google, facebook) are IPv6-enabled. PS: If "an average 676.4 kb/s" sounds low: that's almost 7GB per day. Rule of thumb: 100 kbps average is 1GB per day. MRTG overview of my traffic: Green is total traffic, Blue is IPv6. Note there are only two IPv4-spikes.